PORTLAND, Ore. (WTVD) -- Hipster Santa was making his list and checking it twice before it was cool. He is greeting children and fellow hipsters in (where else) Portland, Ore. this holiday season. Instead of a jolly red suit, Hipster Santa wears black glasses, blue jeans, and an ironic cardigan. Hipster Santa also has tattoos, piercings, and the quintessential man bun. 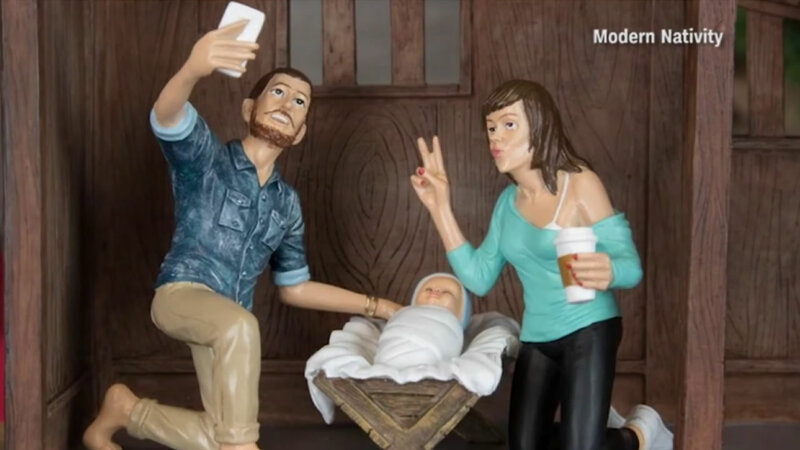 A peculiar nativity scene is making rounds on the internet and flying off the shelves.